Frame It All - Simple Modular Gardens. The gardens that grow with you. 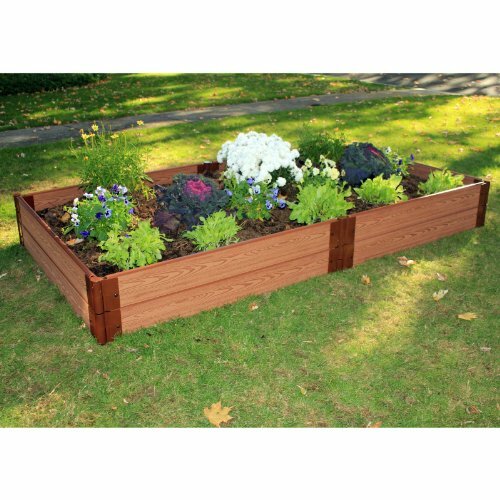 The One Inch Series 4 ft. x 8 ft. x 11 ft. Composite Raised Garden Bed Kit can be used as a stand-alone raised garden bed or as a module to extend any Frame It All Raised Garden Bed System. If you plan to go big from the start, the 4 ft. x 8 ft. x 11 in. kit offers better value than purchasing two 4 ft. x 4 ft. kits.